No, not that one. 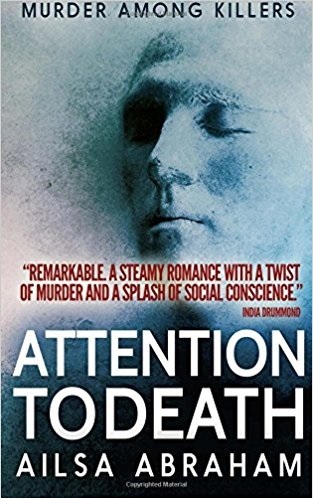 My guest today is Mike Williams PhD (doctor of philosophy – geddit?) who is a dear friend and valued teacher. He showed me the shaman’s path through his writing which is how we got to know each other and I can honestly say that he changed my spiritual life. Hail, Druid! Do make yourself comfy, Mike…and the hounds may want to play with Lily if they don’t eat her. Hospitality first. Above all things an open heart and welcoming hearth. What can I get you? It’s so hot today I could do with a cold beer! And those French patisseries look divine. I’ll take a doggy bag for Cafall and Drudwyn if you don’t mind! With pleasure. You know I could never refuse a dog anything. I know your history but I would like you to give my friends a potted life story if you would. Where do I start! Ever since I was a child, the ancient world filled me with wonder. Here were people who lived thousands of years ago but left remains that I could visit, literally walking in their footsteps. As I got a little older I wanted to know more and began to read whatever I could find about the past and particularly that remote and mysterious time called prehistory. The descriptions of people’s lives were all very interesting but I still yearned for more. I did not just want to know what these people did, I could see that by visiting their remains, I wanted to know what these people talked about, what they thought, and, most of all, what they believed in. Did they worship Gods? Did they speak to spirits? Did they look at the stars and wish they could touch them? My childlike enthusiasm for the past never waned and my early career as a chartered surveyor and developer left me more often looking into a hole to see what I could find rather than filling it with concrete to see what I could construct. I never did find out the answers to my questions though. There were plenty of books that purported to tell me what ancient people believed in but even I could see that much of what the authors wrote had more to do with their imagination than with any serious research. Eventually, I could stand it no more. If nobody could tell me what people in the past believed in, then I would go and find out for myself. I resigned from my job and signed up to an archaeology course, first an MA and then a PhD. Except that, since I was doing it for love, I could concentrate on everything I always wanted to know. The child really did birth the man. Of course, whilst I was a serious academic I kept quiet about my training with the Order of Bards, Ovates, and Druids, the largest modern Druid order in the world. Stating that I was an initiated Druid did not strike me as sitting comfortably in the world of ivory towers. Nor did I mention that I had trained shamanically with indigenous shamans in Siberia and Lapland, and under some of the most renowned teachers in the world. I learnt how to heal people of spirit intrusions or bring back their souls when they are lost through trauma. Still, it did feel rather daring putting it all into my thesis, couched in appropriate weighty tones of course, and, before long, the study of traditional shamanic communities became as important to my work as the study of the prehistoric past. It also led to my “eureka moment” as I realised that people in our past were shamanic themselves. I looked at traditional shamanic communities and I looked at the prehistoric past and they were the same, or at least very similar. At last, I had found out what ancient people believed in. They believed in the otherworld, in spirits, and in everything around them being imbued with life. Amazing! At least I thought so and, as it turned out, so did others. I got peer recognition, and everyone I told about my work seemed really interested, excited even. I realised that if I had discovered things that I really wanted to know about then possibly so did others. I needed to publish. First was a reworking of my thesis to make it accessible to general readers called “Prehistoric Belief: Shamans, Trance, and the Afterlife”, then a practical introduction to shamanism drawing on my work with prehistoric belief called “Follow The Shaman’s Call: An Ancient path for Modern Lives”, and most recently a book on shamanism drawing from the indigenous people throughout the world called “The Shaman’s Spirit: Discovering the Wisdom of Nature, Power Animals, Sacred Places and Rituals”. I think that last bit counts as a plug. Feel free. Fascinating. I started the Bardic course in Druidry but never finished due to illness, as ever. That phrase “ bring back their souls when they are lost through trauma” spoke to me. It’s what happened after the motorcycle accident. What are you working on now? Well, I have recently completed a practical book on Druids in the Iron Age. I decided to get back to basics and, through researching the Classical texts for references to Druids and Iron Age beliefs and combining this with the latest archaeological discoveries, managed to piece together a complete system of Druidry as it existed before the Roman invasion. The manuscript is with my agent and she is talking to several publishers. Of course, there is a fair bit of shamanism in there. 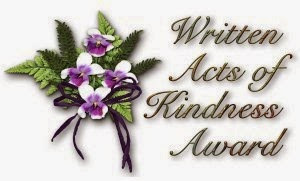 I have also just completed a film script, which is a new venture for me, but I was approached by a Hollywood producer who liked my other work and felt I had a script in me. It touches on healing and the shamanic belief that personal healing comes only through helping others. Wow and wheeeee – that is fabulous news! And, announced here first in a blog exclusive *drumroll* I have recently been appointed editor of the journal “Brycheiniog”, our local county journal of archaeology and history. It’s a prestigious role and I hope it will reintroduce me back into academic circles. I have also been elected as a Council Member of our local Brecknock Society. Congratulations, Editor! Are there any other areas of research you would like to undertake and where? My next project is to write a history of my homeland of Wales – less travelling! – but from the point-of-view of ordinary people. So much is written of kings, queens, and the famous but what was life like in the past for the peasants and commoners? I imagine belief and some shamanism will make it into the mix. I also want to research our local Cathedral, a different system of belief but one I have got very interested in, particularly the Welsh blend of Celtic Christianity and the early saints. The Cathedral started as a Benedictine priory, and then, in the middle ages, it became a place of pilgrimage due to its Golden Rood Screen. People went there for healing and to have their prayers answered; I guess it was similar to how we approach sacred places today. If all goes well with my Iron Age Druid book, I would like to write a sequel looking at time of conversion for Britain and how the Druids of old may have become the priests of the new. I think there is a huge overlap between the two systems of belief that many think are incompatible. For me, there is much beauty in early Celtic Christianity and the cult of the British saints. Many of the early saints’ lives reflect a merging of Pagan and Christian practice. Some, I believe, were certainly shamans, or, at least, performed that function within their communities. For myself, I situate my own faith at this interface and draw upon both systems to form my spiritual path. Hence my interest and involvement in our local Cathedral. We both know the delights of shamanism but from your point of view are there any bad aspects? Personally I find I “pick-up” on people too easily and feel that I’m prying. 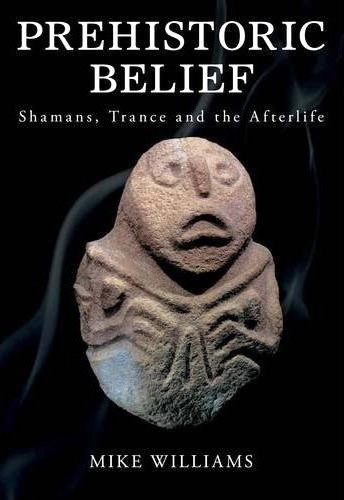 There are plenty of bad aspects surrounding shamanism in traditional communities and I devoted a chapter in my latest book on “Dark Shamanism”. If practiced sincerely, shamanism is a way of knowing ourselves and our suffering in intimate detail. We cannot hide with shamanism and, in fact, we draw strength from the darker moments of our past – drawing power from our pain as one of my OBOD students put it. If you don’t want to go there, don’t practice shamanism. Too true! Even though sometimes the lesson is hard to see through the tears! Today, one of the most concerning aspects of shamanism is its commercialisation. 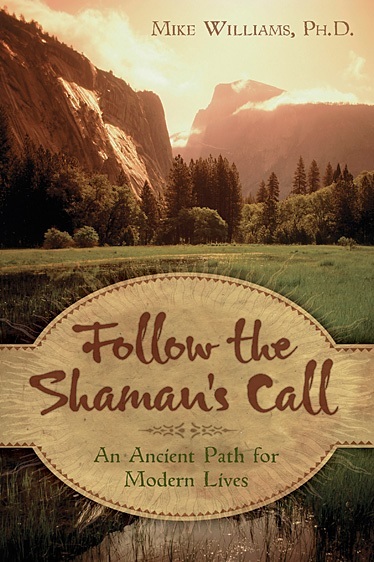 There are so many instant-shamanism books out there that focus on self-empowerment and development without mentioning its true role as healing and helping others. My last book sought to counter this by returning to the genuine, indigenous shamanism, and including plenty of inconvenient details that are overlooked and even whitewashed in our world. That’s unfortunate. Yes! What sort of “inconvenient details” are you referring to? Many people today see shamanism as a way of self-empowerment. They get a power animal and journey to it for help and advice on their life. I would sincerely encourage this and believe it may hold healing for many that are ground down by the stresses of modern life. But this is not what shamanism is about in traditional communities. They may have a tradition of a shamanic sickness brought on by the spirits in order to call (force?) people into shamanism but self-healing only happens when shamans begin to use their new found power to aid, assist, and, most importantly, heal others. The spirits will literally torture and even kill an initiate unless they take up this mantle of healing others. Even then, being a shaman is genuinely hard – not something people openly seek – and the shaman’s life becomes one devoted to others. The shaman I stayed with in Siberia was on constant call to her community and it was clear her work was hard and gruelling. She never once mentioned power for herself, only that she was a channel to help heal others. I have no objection to people in the West calling themselves shamans (although I never apply the term to myself) providing they serve their community through assisting and healing others. This is what makes a shaman. Learning to journey, meeting a power animal, and hanging out with spirits for our own self-empowerment does not. I agree completely. I tend to use it as shorthand, rather like “Druid” as (particularly over here) I don’t have a word for what I do. I would ask you “What is shamanism” but that would take an entire book, or two so in a few sentences can you give us a broad outline. My friends have a rough idea of my practices but every one of us is different. I am often asked to define shamanism and it’s not always straightforward. First, shamanism starts with trance, induced in a variety of ways, but the Siberian people taught me to use a drum. Modern research on the human mind shows that, when people enter trance – which is a usual, although not exclusive, practice of shamans – what they experience is broadly similar. Cultural experience and expectation will colour the event but the basic format and structure will be the same. The person in trance will feel as if a part of his or her body leaves to journey to an otherworldly realm inhabited by disembodied spirits (often animals or ancestral figures), or else will feel that his or her body is possessed by another entity, which supresses the ability to function. In both cases, people interpret the experience as an interaction with the spirits, a near universal aspect of shamanism. 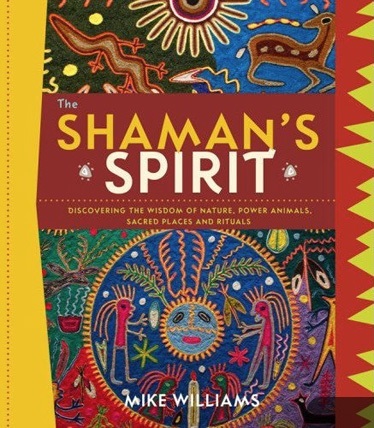 Since shamans generally live in small communities, they use the gifts such interaction brings for the benefit of others, becoming spiritual leaders, therapists, healers, and spiritual advisors – it is this role that makes them shamans, not merely the interaction with the spirits (as I outlined above). The huge variation of shamanism around the world thereby distils into three main areas of unity: a propensity for trance, an interaction with otherworldly spirits, and, most importantly, a dedication to serve the community. This is what ties traditional spiritual practitioners under the broad heading of ‘shamanism’ wherever they originate in the world. Many thanks, Teacher. You know that my door is always open to you and I hope you will come back soon. What an exciting guest Ailsa. Thank you. Thank you both. Mike is one of the most interesting people I know and I’m so thrilled that he wrote a review of my books. Wow! He is fascinating. It’s good to see people whose love for knowledge and whose childhood dreams transform their lives, not only for their good but also for that of others. A truly inspiring man. Thanks Ailsa! Isn’t it so? You can see how Mike inspired me. I read his thesis book last year while in hospital and have his others to come. Smashing interview. Only read his shamanism books but find him inspirational.